Qatar supports Hamas tunnels, cyber-warfare against Israel, and ISIS beheaders – but the UNHRC gives it high marks. The UN Human Rights Council (UNHRC) has adopted a report praising Qatar's human rights record – despite the Gulf state's support for ISIS and Hamas. The UNHRC adopted, on Thursday, the outcomes of the Universal Periodic Review of Qatar, praising its human rights "improvements." Among the 78 countries supporting Qatar were Iran, China and Turkey. However, Hillel Neuer, Executive Director of UN Watch, an observer NGO at the UNHRC, stated clearly at the session that "the cause of human rights does not support" the praise for Qatar. Neuer cited the dramatic statistic that "the 1.4 million migrant workers in the country are dying at the rate of one a day from inhuman conditions," and that at the current pace, "more than 4,000 migrant workers will die to build the infrastructure for Qatar’s 2022 World Cup." Aviad Dadon of Israeli cyber-security firm AdoreGroup elaborated on the aid the Hamas terrorist organization receives from Qatar. In a recent interview with Voice of Israel public radio, Dadon spoke of the extensive use Hamas has made of computer and networking systems in its war against Israel. 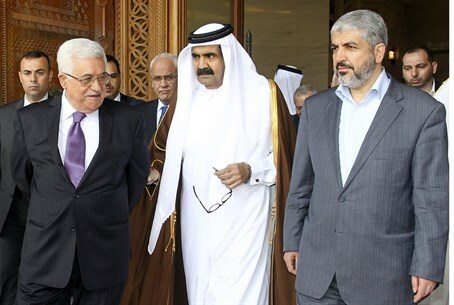 Not only is Qatar footing the bill, he said, but it has also trained Hamas terrorists how to use sophisticated equipment and systems to manage its extensive terror tunnel system and rocket-firing capabilities. UN Watch is an independent human rights group founded in Geneva in 1993.